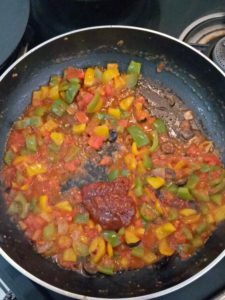 For this recipe, you need veggies of your choice like mushroom, capsicum, sweet corn and olives. Spices that you need are red chilli powder, coriander powder, turmeric powder and all spice powder. 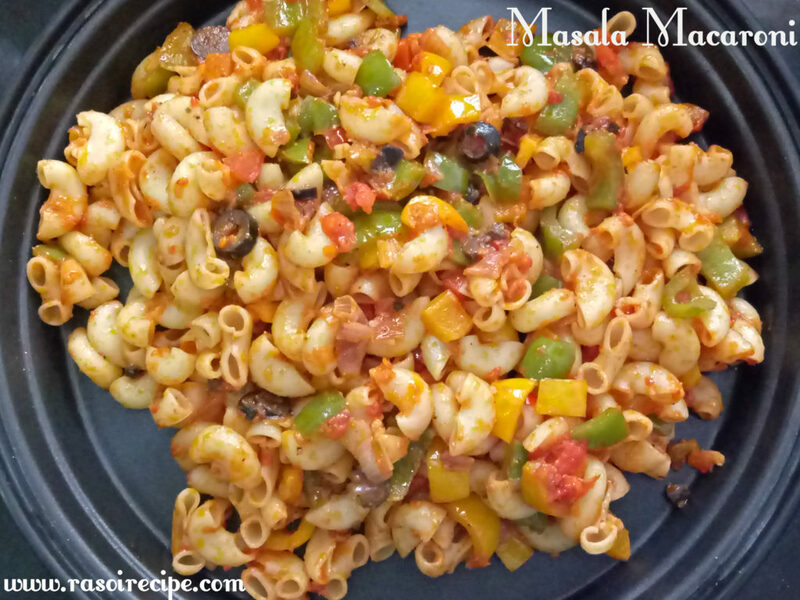 For more pasta recipes you can check Macaroni Chaat (Pasta/macaroni in yogurt) , Veg Pasta in White Sauce , Pasta Salad (Creamy cold salad) , Paneer Macaroni Pakodi (Cottage cheese pasta pakori) , Spicy Meat Mince Pasta Recipe (pasta with minced meat) . 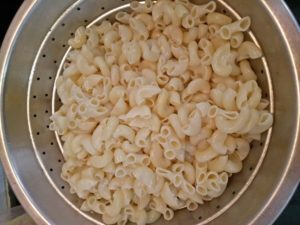 Boil macaroni as per the instructions given on the packet. While boiling add one tbsp oil and 1/2 tsp salt in the water. In a pan heat oil. 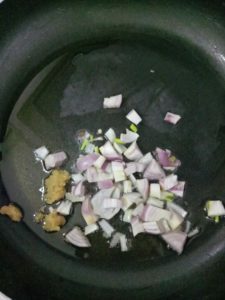 Add chopped onion and ginger garlic paste. 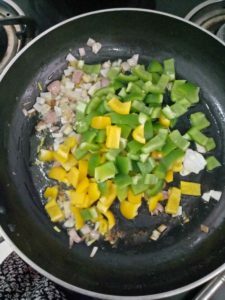 When onion turns golden in color and raw smell of paste fades away, add capsicums. Cover and cook capsicums till they turn soft yet crunchy. 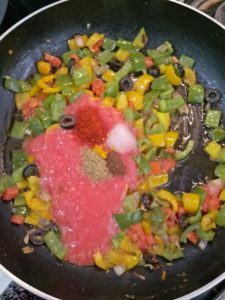 You do not want soggy capsicum. 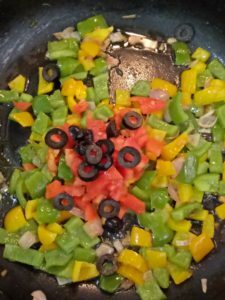 Add tomato and olives. 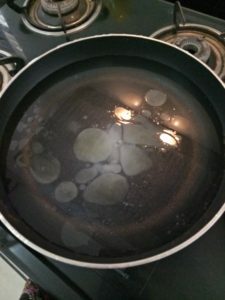 Cook for 2-3 minutes. In the pan now add tomato puree, red chilli powder, turmeric powder, salt, all spice powder and salt. Mix everything nicely. 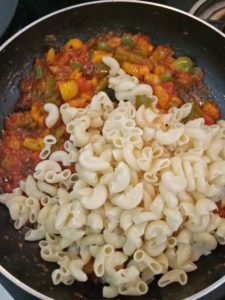 Add macaroni in the pan and mix. 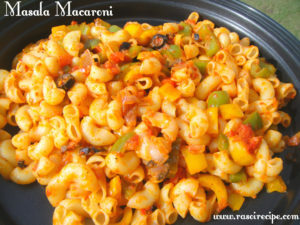 Serve masala macaroni hot !